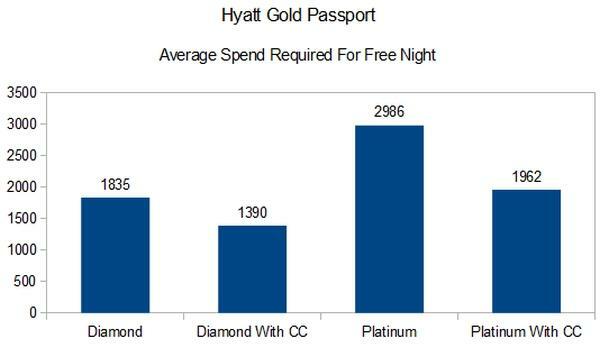 You shouldn’t just compare the number of points that you earn from a number of hotel loyalty programs, but also the number of points required for a free night. 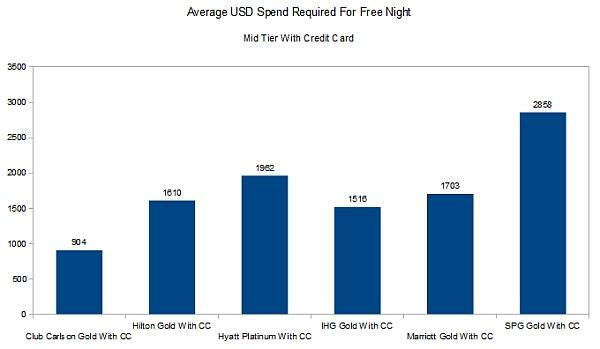 In order to compare these programs, I calculated the average number of points earned for six programs and then chose several markets to find out the average number of points required for a free night. I then calculated the averages for these markets and used this figure to compare these programs below. Please note that Club Carlson was not present in two of the cities, so their average is calculated based on seven cities. 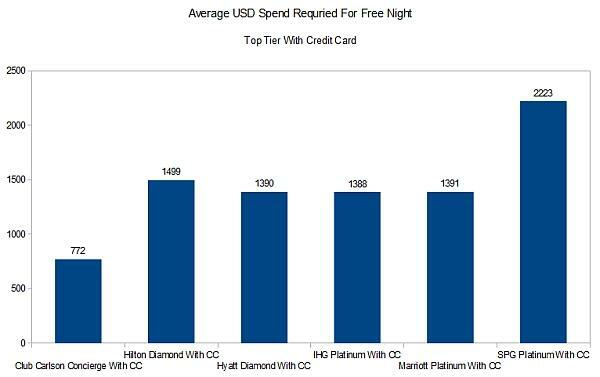 SPG Platinum requires a spend of three times more than Club Carlson Concierge on average for a free night. All the other chains are within a relatively tight range. When you factor in the credit card, Club Carlson is still requires about half compared to all the other chains except SPG. Starwood Gold requires quadruple spend compared to Club Carlson Gold. Club Carlson is still the winner. It is interesting that Hilton, Hyatt IHG and Marriott are all within relatively tight range in all the examples above. 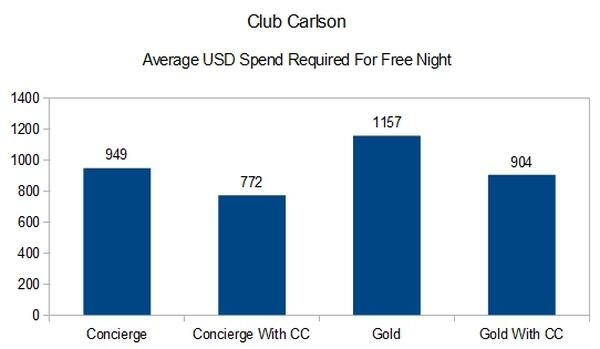 The Club Carlson required the least amount of spend for free nights and SPG always required the most.